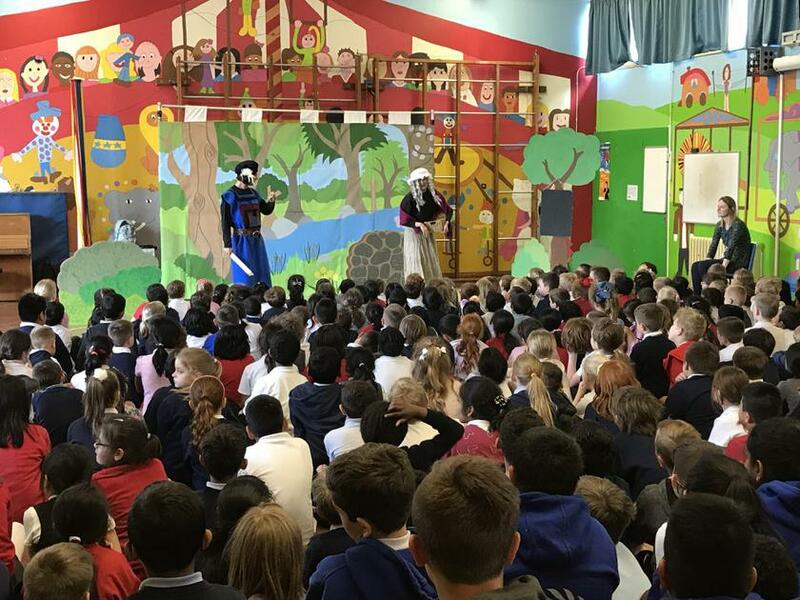 Pupils from reception to year six enjoyed a wonderful performance of Robin Hood by the Hobgoblin theatre company today. 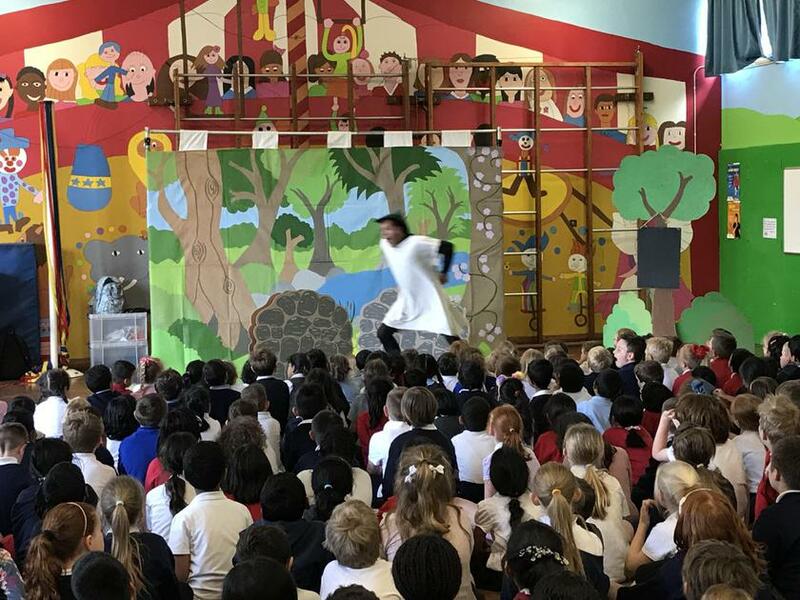 The trio of actors kept us all entertained for over an hour and the children really got into the swing of it, cheering and booing in equal measure. I must thank the PSA for so kindly funding the visit and providing our school with such an interesting and lively opportunity. Tomorrow the pupils will be writing a variety of text types in response to the play and we hope their ideas reflect the tremendous skill the actors bought to the performance.